Louis is the Marketing Manager at Clapham & Collinge. He joined Clapham & Collinge in February 2013 and became the Marketing Manager in June 2014. 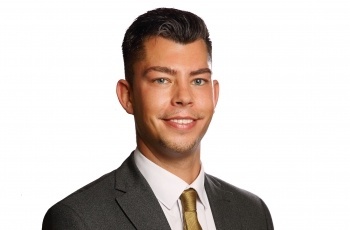 Louis works closely with the Partners and Heads of Departments to develop the marketing activities of Clapham & Collinge in order to increase brand awareness, generate new business, support the firm's continual expansion and increase market share. In February 2015, Clapham & Collinge moved away from a national legal network to re-establish as a independent law firm, marked with a fresh new visual identity. Louis continues to oversee the marketing in our network of offices in Norwich, North Walsham and Sheringham. Louis manages a busy schedule of events (legal seminars, training and fundraising events to name a few), the firm's website and social media platforms, marketing literature, advertising (from digital to print) and PR to ensure maximum exposure and brand awareness. Just wanted to thank you for organising an excellent event, appreciate the time and trouble you took in organising it. You are a very good ambassador for your company.